Aside: The styling above was actually implemented in 58d03c9 but it got lost in dead code that no longer was loaded (amp-validation-error-detail-toggle.js). Also apply the same styling to new validation errors appearing on the invalid URL screen, making sure that the style is removed as soon as a user changes a select to “Accepted” or “Rejected”. Style invalid URLs in the post list table with unapproved style of contain new errors. 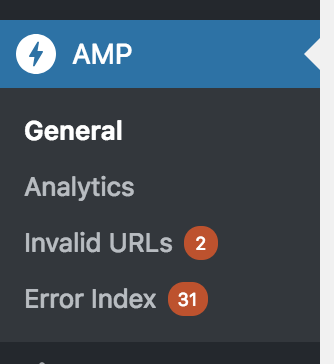 I pushed an update that applies the unmoderated comment styles to new errors in the single URL table (both the main row and the expanded details row when it's open). I'm removing the [WIP] from this PR now. @johnwatkins0 I added one more todo. In the list of Invalid URLs, we should also show the same styling for Invalid URLs that contain any new validation errors. @johnwatkins0 This will break when a different locale is active. Instead of looking at the option text, you should use the option value which is an integer which will not change. @westonruter I've updated this based on the new to-do and your latest comment. Could you take another look at this please? Thanks!